A Boeing 747 passenger plane. Most airlines board passengers the same way, first filling the seats in the back of the plane, and then moving to the front. After a recent experience boarding a plane in this manner, Fermilab physicist Jason Steffen wondered if there might be a better way. So, in the midst of studying gravitation and axion-like particles, Steffen took a short break to investigate an optimal boarding method for airline passengers. In his analysis, Steffen found that the worst method for boarding a plane is boarding from the front to the back, since passengers have to wait and step over each other to get to their seats. As he explains in a paper submitted to the Journal of Air Transport Management, conventional wisdom suggests that boarding in a manner opposite to the slowest method seems like it should be the fastest method. Quite unexpectedly, then, Steffen found that the common back-to-front boarding method is actually the second worst method possible, only slightly better than boarding front to back. Using a combination of a Monte Carlo optimization algorithm and intuition, Steffen determined an optimal boarding method, which could make boarding go 4 to 10 times faster than the worst method, depending on the size of the plane. In the optimal method, passengers would board 10 at a time in every other row (since loading luggage requires about two aisles of space). This way, passengers could always be boarding luggage or sitting in their seats, rather than waiting in the aisle, as in the two previous methods. However, Steffen also acknowledged that the optimal method might not be practical, since passengers who sit next to each other often travel together, and prefer to board together. 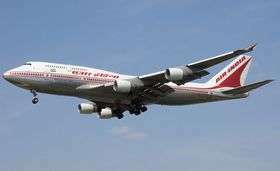 He proposed a modified version, where passengers board in blocks of three consecutive seats on one side of the plane in every other row. In this strategy, there would be four boarding groups, with passengers in the same row on the same side boarding together. This method provided a decent middle ground, as it was twice as slow as the optimal method, but twice as fast as the conventional method. Although getting passengers to line up in their correct groups might sound challenging, Steffen noted that Southwest Airlines has been experimenting with having its passengers line up in numerical order – so the logistics wouldn’t be inconceivable. Steffen also identified several other boarding strategies with results superior to the conventional method. Contrary to our tendency for order, even completely random boarding proved to be a good alternative. In fact, random boarding was nearly as fast as the modified optimal method. Plus, by its very nature, it has the advantage of not requiring airline attendants to organize boarding passengers in any way. And the random result also shows that, when passengers board out of order in the other strategies, the results will still be better than the conventional boarding method. The main advantage of the alternative boarding methods is that they allow several passengers to load their overhead luggage simultaneously, which Steffen identified as the largest factor in determining boarding time. By spreading the passengers throughout the airplane instead of concentrating them together, more passengers could load their luggage at once. Steffen noted that, although he has recently heard of other boarding optimization studies, his analysis uses a unique method and is the first to generate this specific optimization strategy. Still, Steffen thinks that reducing the boarding time could benefit airlines in a number of ways, especially for short flights between nearby cities. In such cases, quicker boarding might allow an additional daily flight to be scheduled, or it could reduce the number of gates an airline requires, since each gate could be cleared more rapidly. With thousands of flights taking off around the globe every day, a few minutes could save a lot of people a lot of time. More information: Steffen, Jason H. “Optimal boarding method for airline passengers.” ArXiv:0802.0733v1 [physics.soc-ph] 6 Feb 2008. If speed of passenger loading is the singular goal, there are many other variables that one should consider. Like requiring all large baggage to be checked. Or using both the rear and the front doors. Or providing larger, easier to load overhead storage. Or interspersing "porters" through the passenger line to expedite baggage loading. Or create one large compartment near the entry door for carry-on baggage(some airlines have done this in first class). Or simply allow more room for people and baggage. Ignore that last one, as I'm afraid airline greed trumps all. And the article failed to give results on the old favorite: windows board first, aisles board last. I think there are more simulations to be run. windows board first, aisles board last. It's only true if they don't have any lugguge, IMO. Just thinking about this, and without running simulations, I'd say that boarding every 2nd row window seats first (with exceptions made for people travelling in groups, which the airline could automatically note and account for) would be the optimal solution. I can't see that causing any headaches for either the airlines or the passengers. And, if boarding efficiency is increased, they could potentially increase the efficiency of the entire airport. Assuming that it isn't a hub airport. In those airports the runways and approach/takeoff zones are the bottlenecks. I think the proposed system sounds delightful. Fewer people per section means people will have room to load their luggage (if they have any) and seat themselves. Letting multiple sections board at the same time means more people will be able to benefit from this lack of crowding. It would take the average person less time to get seated and more people could be seated at the same time. The system would not be very difficult to implement. The airline companies should take notice. 2. People who never fly: see #1. 3. People who never fly: if you don't know what to do, ask. Also, look up to find the current row number: many times the row number "jumps up" to a higher number in the "coach" area... If you didn't buy a FIRST CLASS ticket. Get this news to the airlines, pronto. If random boarding is better than the current system, try that first. It's just common sense, and of course it costs nothing extra. Of course, the first classies will want to board first because they paid the extra money. So get them out of the way, then start optimizing. Oh and of course handicapped passengers and those with small children. Let them through first too. Then tell the rabble, "randomize yourselves or get thee directly to Guantanamo." Maybe some of them will just run away. Wait five minutes, then take off, use it or lose it and all that. The Bush administration will side with the airlines, and then courageous Democrats in Congress will first declare their opposition, and then compromise. Completely. I work as ground crew at a very large airport and I can personally say that the time efficiency can't be improved much in any area without a lot of automation and increases in all the bottlenecks at once. The people on the ground need the time the passengers wait to get on board to get the bags from the connecting flights and baggage areas, and the time the passengers board to load them. Even if boarding were finished 10x earlier there would still be a long wait. All the variables in timing are interdependent. Actually, I think the previous comment carries an important insight: the issue is not time(as it takes all the current available time to prepare the plane, passengers and luggage), but the passengers' attitude about waiting a moment for the person in front of them to complete their boarding. But many people are nervous and anxious about travel, so any additional stress(I guess waiting 4 minutes accounts for stress today) creates a difficult situation. I figure we're all going to get there at the same time, so chill. And actually, on further consideration, isn't standing in the aisle or jetway considerably more comfortable than the imprisonment of being strapped into that sub-human-sized seat for 3 hours? Enjoy it. I would add that there is marketing too. When it is a free for all random boarding (e.g. SW Airlines and Ryan Air) it feels like you are cattle jostling onto the plane. Somehow the inefficient orderly boarding of BA feels more civilized even though it might be slower. Another point is that you have a very heterogenous mix of passenger types. Business collegues vs a large family group are totally different. Any model needs to include a representative set of passenger types. I concurr with the previous comment. I don't want to board until the last minute. Sitting in the supposedly average sized person seat is very uncomfortable. Not to mention the fact that you are sitting on top of 1000's gals of volatile AvGas and subjected to a lifetimes worth of pathogens. I would happily pay extra $10 each trip for the safer military grade JP4. Here's a thought: Instead of speeding up the boarding process, why not monetize the time people spend lined up waiting for their seats. Paste up some of those advertising cards used on trolleys and buses - just put them on the overhead storage bin doors. And have friendly commercial messages piped in over the intercom, like they do at gas pumps here in Southern California. They're really quite compelling. I think if you could simply get the passengers to gutterally chant "go, go, go" in unison as they board the plane, that this would easily speed boarding by an estimated 42%. Maybe more. I have to say(before we finally move on) that after flying regularly for more than thirty years, on easily many hundreds of flights, I have never felt that I reached my destination any appreciable amount of time later due to how the passengers boarded the plane. Nor do I believe at any time did any of the airlines profits or take-off times suffer appreciably because of passenger-boarding-caused delay. I think we may have just beat, not a dead horse, but a relatively content horse, to death. In point of fact, I think there is actually no problem here, other than the stress(for some) of flying. But if a vote will settle it, I'm going for the laughing gas, the JP4 and the porters(they're no cost to the airlines as they would work for tips). Can we now discuss the much more pressing and delay causing problem of getting all the passengers to GET OFF THE PLANE more quickly?!? Am I the only one who sees a problem with boarding from anywhere besides the front end? I wonder if the model captures idiosyncratic behavior that dramatically affects the passenger loading time: people putting their bags at the front of the plane when they sit in back, people standing in the aisles unloading their laptops, people getting pillows and blankets, etc. All these would make the model very difficult, and these also dramatically affect loading time. For instance, the person who puts their bag at the front has no problem getting to the back of the plane. A couple more people do the same thing to keep from lugging their bags all the way back and then off the plane. When the front of the plane (coach) finally loads, there is sometimes no room for their carry-on baggage. Now, the stewardess moves these passengers' bags toward the middle of the plane (behind the passenger), which dramatically complicates the offloading of the tube as the front passengers are tempted to trip over the people standing in the aisles to get their bags. This is complicated stuff. People don't follow rules even when they allow for the least inconvenience. One would think mere pain avoidance would help the loading and unloading procedures, but not so. As a frequent flyer of 737s, I have experienced that Southwest flights board much more quickly than other airlines' flights (In my experience, AA is the worst). Southwest does not have assigned seats, so travelers do not have to look for their seats, but can sit in the seat of their choosing -- usually a few rows away from someone who is struggling with their luggage. It would be interesting to add this scenario to the model. Also, limiting the size of carry-ons to the actual FAA approved size would work wonders. Ashibayai said above that speeding up the boarding process can conflict with the onloading of baggage. Studies by Boeing show that in most cases, the baggage is finished before all the passengers enplane. This leaves room for improvement in the boarding process. I don't think Steffen's method is feasible in actual practice, but I do think speeding up the enplaning process would not be circumvented by the baggage process. Mayday commented saying that he didn't think enplaning kept planes from leaving later. He is correct, but that isn't the point. The point is that if the process were speeded up the planes could leave earlier, freeing up the gate. And after a whole day of flights, there may be a chance to schedule in another flight for that plane, especially if it does short-hauls.